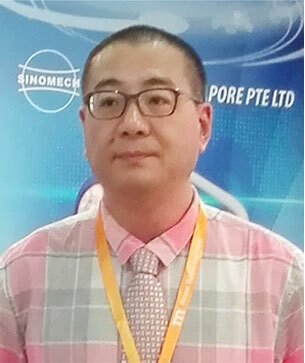 SINOMECH SINGAPORE PTE LTD is the headquarter of SINOMECH GROUP. SINOMECH is now the leading name and specialist in Operating Theatre Equipment industry. As SINOMECH’s subsidiary manufacturer, JASUN MEDICAL EQUIPMENT (SHANGHAI) CO LTD was the first factory developed LED Operating Theatre Light in China in year 2007. NINGBO KAIFAT MEDICAL SCIENCE & TECHNICAL CO LTD, as another group member, developed first and unique product Electrical Patient Transfer Vehicle in the world in year 2014. We have also supplied the cutting-edge Operating Theatre Tables manufacturing in NINGBO TECHART MEDICAL EQUIPMENT CO LTD for more than 30 years. Our mission is FOCUS ON HEALTH. We believe in the honestry and integrity of human beings as the foundation for a mutually beneficial business relationship. YOU & US, we can work together to help the patients for a better tomorrow. ©2016 SINOMECH SINGAPORE PTE LTD. All rights reserved. This website contains information about products whicbrh may or may not be available in any particular country, and if available, have received approval or market clearance by a governmental regulatory body for different indications and restrictions in different countries.